I woke up to an unexpected snowstorm this morning. My first thoughts were of Sammy, the outside kitty I’ve been feeding for years. He showed up a little late, but he DID show up and ate a hearty breakfast. 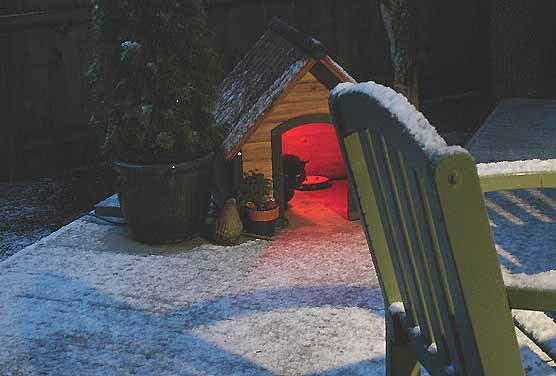 Then he stood at the door of his house and watched the snow. Eventually he decided it was time to head out for the day, and he left. My cat, Star, looked at the white flakes from her favorite spot on the chair. 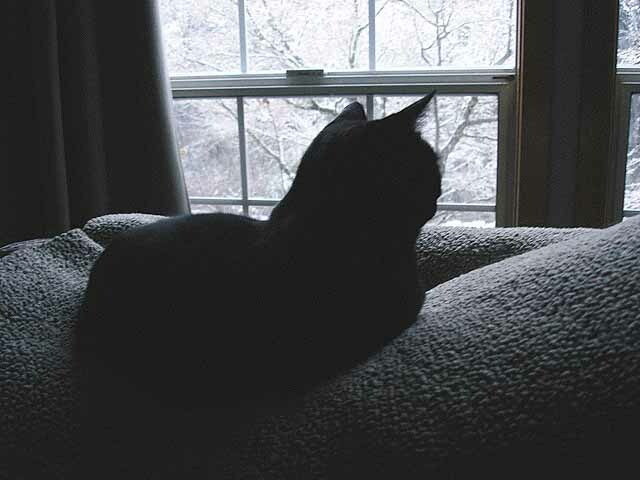 As she gazed out the window I knew she was happy to be an inside kitty, safe and warm. 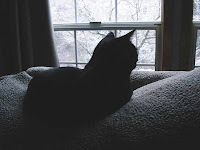 Two black cats, staring at the same snow….but OH how different their lives are.